Huge Savings! Up to 13% off on Electrical at Syl Shop. Top brands include Sprayway, EnDuraLast, WARREN UNILUBE, Warren Distribution, CRC, Motion Pro, Max-Pro, & Genuine GM. Hurry! Limited time offers. Offers valid only while supplies last. 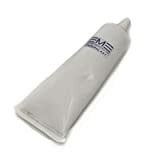 Genuine GM Fluid 12377900 Dielectric Lubricant - 2 oz.